premiere access to our large network of job opportunities, as well as invaluable resources and guidance that help you to develop your career. 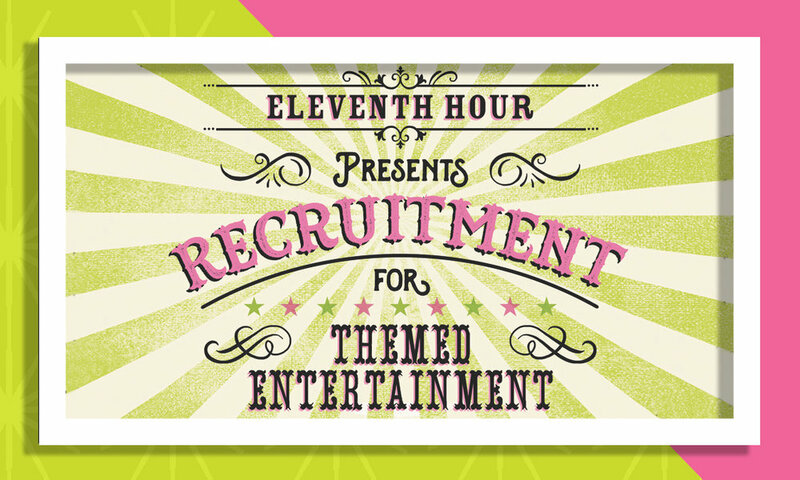 With Eleventh Hour’s diverse expertise of disciplines, our candidates have found success with industry leading studios, talent agencies, record labels, theme parks, design firms, and production companies. Check out our job board for a selection of current open roles. Our team of dedicated recruiters is always on the lookout for talent of all career phases from entry-level candidates through C-level executives. To be considered for opportunties with Eleventh Hour, please submit your resume and portfolio (if applicable) for review. For in-depth information regarding our staffing and recruitment services for Themed Entertainment candidates, please visit the division’s dedicated site.